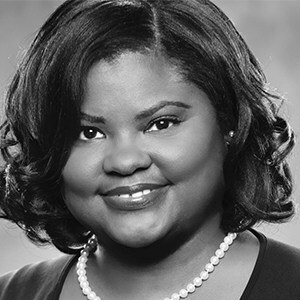 Guest Blogger Dia L. Jones joins Volume and Light to lay to rest the charter school vs. traditional public school argument – once and for all. Ashes to ashes. We are all gathered here today to celebrate the life and death of a perennial verbal battle. An argument where the 1% continues to pull the strings of the 99%. Where the 1% narrate the perpetual oratorical debate that poor folks should not…will not decide whether their children deserve a first-class education. This argument is now dead and we come to pay our last respects to the old banana-in-the-tailpipe BS. You see, my friends, this can’t be…anymore. We won’t let this be…anymore. My brothers and sisters, we all want the same things. All parents want…the same things. We want our children to earn a great education via great schools with great teachers, teaching rigorously engaging and relevant lessons in a safe, respectful, warm environment. We want our children to gain knowledge of themselves and the world around them. We want our children to leave learning institutions with 21st-century marketable skills to take with them to and through college and into the workforce. We all ultimately want our children to have the life that only they can dream of. So, why are we even arguing about public charter schools vs. traditional public schools, aren’t we all speaking the same language? Whether the school is traditional, charter, magnet, parochial, online, project-based, Montessori, application, neighborhood, or suburban. If a parent says, “I want my child to learn from here because I want my child to have this type of education,” then why are we fighting about it? And this is why the Charter vs. Traditional School Argument is Dead. Parent choice is a choice for educational freedom. Freedom, my brothers and sisters! Freedom for parents to enroll their children into the school of their choice despite location, race, ethnicity, gender, religious affiliation, income, sexual orientation, sexual choice, nationality or disability. So, everyone… Everyone who wants to remove the shackles of academic oppression of all children – gather ’round. Pick up a rose, a lily, because, yes, He’s the Lily of the Valley…Amen? Or grab a handful of dirt and throw it on this pine box where this argument now resides. May it rest in pieces. Now and forever more…Amen and 1 Love. Dia L. Jones has worked to build culture rich schools and organizations for the past 20 plus years. For the past 13 years, she has been a teacher, Dean of Students and an Assistant Principal in traditional and charter schools in Philadelphia. In 2016, she was chosen by Educators Rising to help create a national curriculum to cultivate high school students from around the country to become highly qualified teachers. She was a 2017 Ryan Fellowship Finalist. She’s an avid reader, traveler, a photographer, news hound, sports watcher, foodie specialist and awesome auntie extraordinaire—ask her multitude of nieces and nephews. Later this year, she is launching a blog where she will shed light on school culture and climate in hopes to push educators into 21st-century discipline practices, ultimately destroying the school-to- prison pipeline. STAY TUNED! Sadly, the pine box will be for the public school programs that die when defunded. Let me know when you find a district that can/will fund a charter, magnet, montessori, and traditional to choose from, when they won’t fully fund even one presentable school, and let me know when you find charters that actually accept and keep students with special needs. I feel your frustration. Though I know a few Nashville charters that accept and keep students with special needs. But all of our schools could do better with our most vulnerable babies.